Concrete construction cost is one of the crucial and major components of total cost of a project. It greatly influences the total cost, so it is required to be estimated accurately. If concrete construction cost is overestimated, it leads to overestimation in the total project cost and the owner would have to spend more money, or he/she probably make decision to no proceed with a project. However, if construction costs are underestimated, there would be several unexpected expenses during the construction stage. These costs affect the contractor, the owner, or both, in addition to substantial loses. Therefore, it is considerably important to have adequate information about different variables and item of concrete construction cost. The most important item to consider is the cost of concrete whether it is ready mix concrete or onsite mix concrete. Commonly, concrete supplier gives the cost of concrete after the project specifications and the job location are provided. The cost of concrete is priced per cubic meter. If concrete is poured over nearly leveled soil surface, then the ground should be prepared for concrete placement. 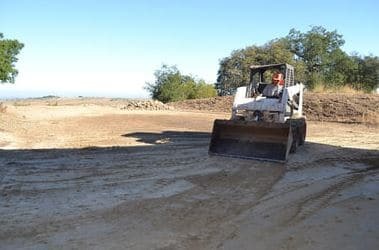 This involves cost of grading, compaction, excavation, trenching, and other components. special work is needed to prepare the site. In contrary, when concrete is placed on a surface which is not leveled. Then the cost of surface preparation would be greater than previous case. It includes excavation and filling with suitable material or removing a soft soil. If filling process is needed, then the distance between the project and the borrowing material source affect preparation cost. Cost of formwork make up fairly large quantity of the entire cost of concrete construction. there are certain details which should be known so as to be able to estimate cost of formwork. 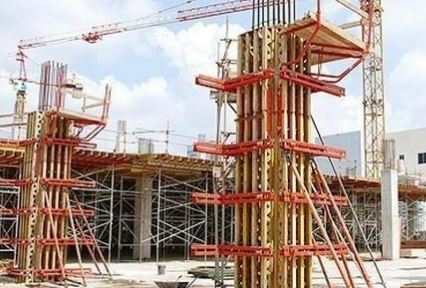 For instance, cost of type of formwork employed, how the it is fixed, and whether the form is rental or bought, the use of crane is needed or not, machines used to transport formwork materials, re-using formwork material, and repair of forms after multiple utilization. Commonly, the cost of formwork is priced and expressed in square meter of the concrete area. There are various types of reinforcements which are used to reinforce concrete. For example, steel bars, wire mesh, fiber reinforced polymer (FRP) bars, plastic mesh, and fiber added to concrete mixer to improve strength and crack resistance. The cost of reinforcing materials would vary based on the material type and size of reinforcement. for example, the cost of FRP bars are higher than steel reinforcement and larger diameter bars are costlier than small ones. Lastly, cost of reinforcement installation is one of the major components of material cost. It begins after formwork is fixed and reinforcements are installed. The technique used for concrete placement and equipment used for placement, spreading, and compacting concrete affect concrete costing, in addition to labor costs. 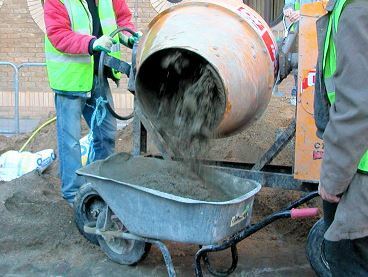 Concrete may be ready mix and pumped to the specified locations or mixed onsite and require other machinery to deliver fresh concrete to its final position. The type of finishing and its complexity determined in the design controls the cos of finishing operations. Concrete could be finished in number of different ways for example smooth surface, exposed aggregate surface, or stamped concrete finish. 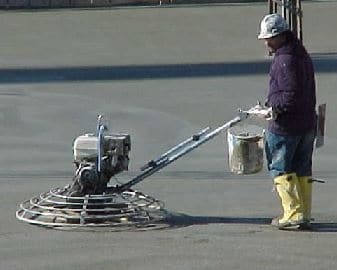 Certain surfaces may require only a strike-off and screed to proper contour and elevation, while other surfaces, a broomed, floated, or troweled finish may be specified. Finally, the cost of any curing compound or testing services is also included in finish work cost. Frequently, it is required to hire an engineer to supervise the project and make sure that the work is done in accordance with applicable codes and specifications. So, the cost of services provided by the engineer should be taken into considerations. Obviously, no construction work is totally accurate and there is no guarantee for stoppage of concreting due to technical problems or natural events like rain. This needs to be accounted for in the total cost of concrete construction and allocate certain quantity of money for contingency works. This amount is commonly specified by experienced estimator based on their experience.